If you would like to submit a document (.doc, .pdf, .jpg's, etc) to be tendered, please email the file to info@louistone.com.au after submitting your enquiry request. As an architect, I need to have a lot of confidence in the people I work alongside. Working with Louistone Constructions was simple and seamless. The team has a thorough knowledge of the industry and the necessary experience to manage projects. The team were always willing to offer their experience and proved invaluable in resolving difficult problems. Their initiative facilitated the progress of the works. Louistone Constructions are a team who take great pride in their work. Eighteen months has now passed since we moved into our new home that Louistone Constructions built for us. We are absolutely thrilled with the outcome and have had a lot of comments on how beautiful our home is. Louistone Constructions are a company who take great pride in their work and this showed in the quality of the finished house, making the design of our architect come alive. From the outset we had no doubts as the company came across confident and offered us fantastic advice. We were thoroughly impressed by their technical expertise as they were able to answer any query that we had. 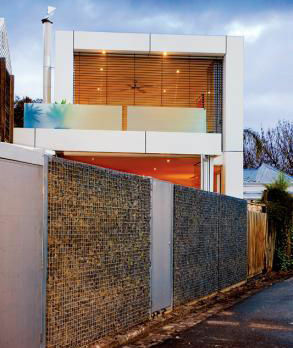 Louistone Constructions gave attention to every fine detail and went out of their way to satisfy our requirements. The company is innovative and demonstrates a commitment to customer satisfaction. I employed the services of Louistone Constructions to build an extension to my family home. During the project, I was impressed by both Sean's attitude towards his trade and his performance on the job. Sean is a hard-working craftsman who invariably understands exactly what a project is all about from the outset, and how to get it done quickly and effectively. Much thought and attention to detail went into the work completed by Sean, and he has an unusual ability to notice what others overlook. He was successfully able to problem solve and negotiate outcomes suitable to all parties involved. Sean is a resourceful and solution-oriented person who was able to come up with new and innovative approaches in order to complete tasks. In addition to the physical construction of my extension, Sean also patiently offered reassurance and guidance for the future direction of the extension to my home. His knowledge and confidence was invaluable. Sean makes it evident that he understands what the building business is all about. He is well organised and thrives under adversity. He keeps a sharp eye on the bottom line, as well as recognising and understanding the communication and customer satisfaction is what makes or breaks a construction company. Very goal orientated as well as a team player, Sean is an easygoing builder with whom quality work is completed. Sean has the ability and initiative to follow through with client instructions and liaises effectively with trade services. He is driven in equal measure by both quality and efficiency. His keen devotion to his work, innovation and attention to detail is a pleasure to work with.